If ever there was a quote that summed up the current Everton squad, this was it. Another opportunity for silverware passes us by, and all Everton have to show for it is another hard luck story, except there isn’t one to be had. We didn’t kill the game off when in control of it and then were punished for some ridiculous defensive mistakes. Groundhog Day. Not getting the rub of the green is a tired and worn statement now. While conducting Koeman’s post-match interview up at Hull, Darren Griffiths bemoaned Everton’s “lack of luck” probably forgetting that this was a game in which the opposition goalkeeper elected to punch the ball into his own net. In a nutshell, this is one of the major problems with Everton. The side haven’t won back to back games since the middle of September, a stat that is so telling. That is indicative of a squad which is content to kick back and take the praise after a win, instead of focussing and pushing on for the next one. Just getting by, achieving the minimum is the staple of much of this squad and it needs to change. The feeling that it’s okay to coast because when we start getting that bit of luck we’ll win more than we’ll lose. This is simply incorrect and reflects on a very poor mentality that surrounds not only the first team squad, but the entire club. 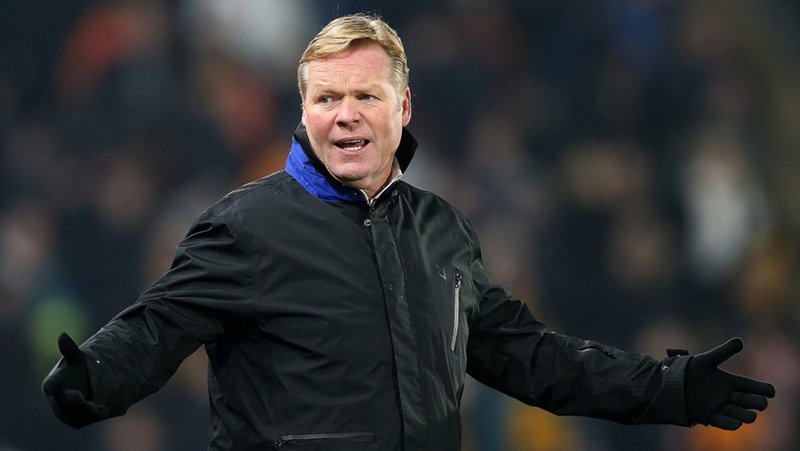 Koeman’s frustrations with a lack of action at board level were visible after the second limp cup exit of the season. While talk of “progress” and “re-joining the elite” is all well and good, it needs to be evident in all aspects of the club. It doesn’t take a genius to work out that overhauling the scouting process, but not switching those who negotiate the deals, has provided disjointed results. Ambitious targets are brought to the table, and then the deals are negotiated through mid-table tactics. We saw it in the summer with the inability to deal with notoriously difficult European clubs such as Napoli and Porto, two clubs who are renowned for their ability to both buy and sell players well. We’re also seeing it now with a painfully drawn-out negotiation with Manchester United over Morgan Schneiderlin. United can afford to wait, there are multiple clubs interested in the Frenchman, whereas with Gana Gueye away at the AFCON, we can’t afford that luxury. The trick to haggling is knowing when to stop. Fair enough, don’t dance to United’s tune and pay the full price for a player that has failed there. If rumours of Everton’s new found wealth are true, this is less about money and more about showing that we won’t be bullied it the transfer market, which I’m completely on board with. So when the price is knocked down by a couple of million and the message has been sent, is there really any need to draw out negotiations anymore to shave another couple of million off the price? Unfortunately this is an aspect of the old penny-pinching Everton that we are yet to be rid of. 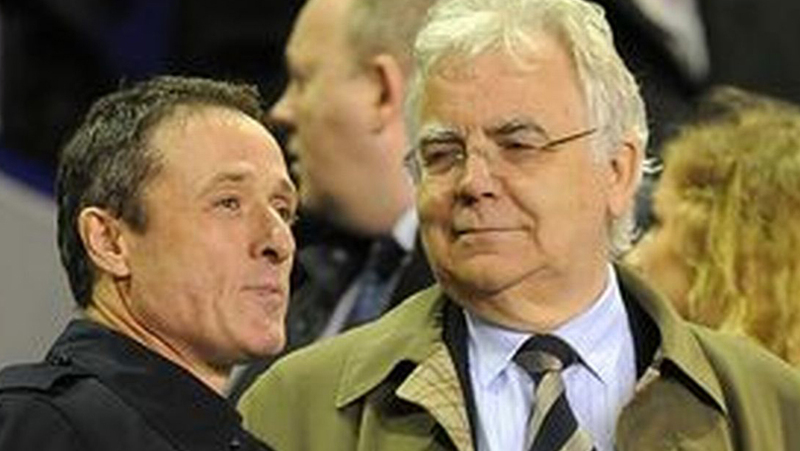 As with 99.9% of Evertonians, I’m not privy to the detailed goings on inside Everton’s negotiating team. But it is painfully obvious that something needs to change, whether that is the mentality, the staff, or both. Make no mistake, what we’ve seen on the pitch has been a necessary pragmatic improvement from what was left behind by Koeman’s inept predecessor back in May, which is the reason such a situation is so infuriating. In such a stop start season, littered with mistakes, Everton are still where we expected they would be. While the manager is definitely not blameless, he has been culpable for some of those mistakes, it can’t be argued that he is slowly improving the fortunes of a squad that contains multiple individuals that simply do not deserve a place within it. Calling for his head is as ludicrous as calling for Seamus Coleman to be given the armband (who need’s consistent ability when you’ve got passion, eh?). As fans, we can’t look at the rest of the season as pointless, because that gives so many of these coasting players a pass to continue in the same vein. With a 7th place finish and a possible Europa League place still up for grabs, the players cannot be allowed to coast into 9th because “the season was over”. If the club can finish in that 7th place, even with all the mistakes made, it will represent the minimum requirement that was set out for this season. This needs to be the watershed. The rest of this season has to build towards the next one and for evidence of how important that is, simply look at Leicester City. With survival all but guaranteed two seasons ago, they had the opportunity to coast until their holidays, they didn’t and it was the foundations for the incredible season they would have afterwards. It’s time for Everton to learn some lessons and it’s time for the manager to be backed, both on and off the pitch.